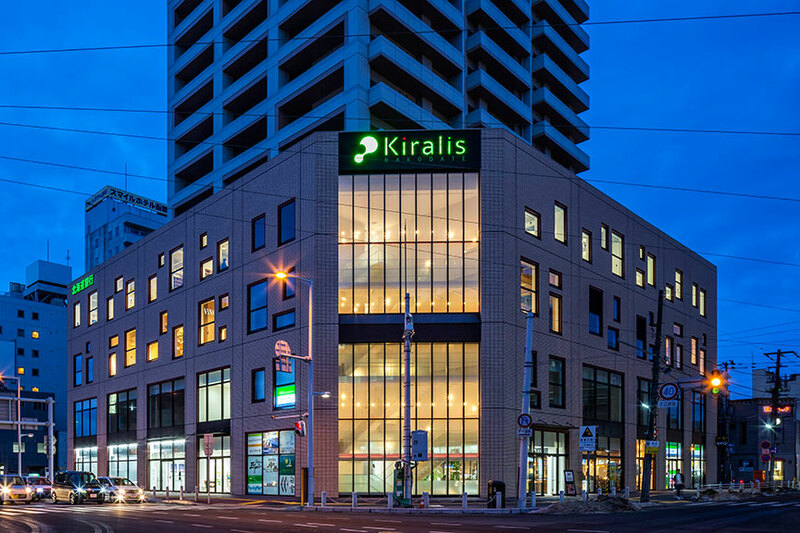 Kiralis HAKODATE – Jun Mitsui & Associates Inc. Architects｜Pelli Clarke Pelli Architects Japan, Inc.
Kiralis HAKODATE (Hakodate MARKS THE TOWER) is located in front of JR Hakodate Station and is also close to Hakodate Morning Market and Mt. Hakodate. 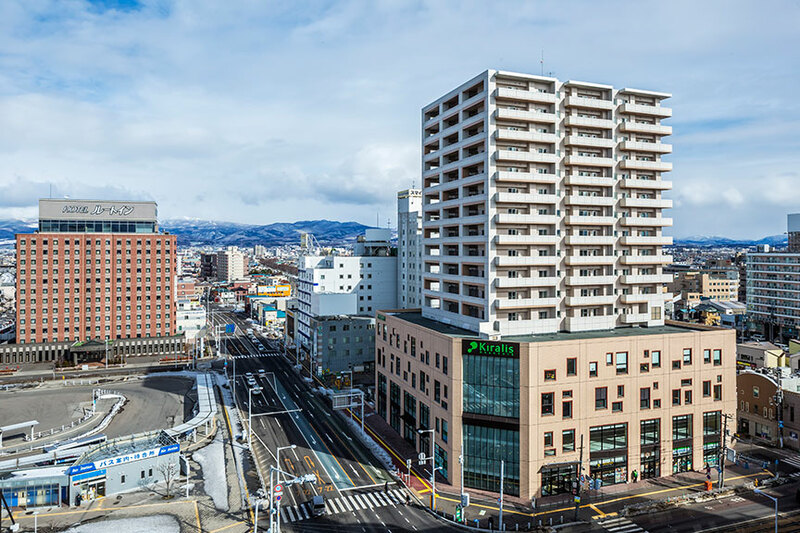 It is therefore an important, large-scale project for Hakodate City, and one that will become a symbol of the station area. 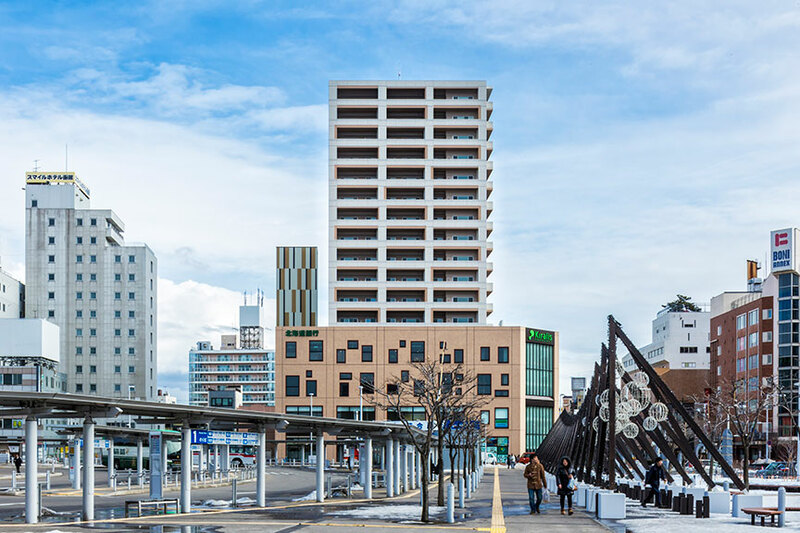 The key to the design was working out how to reflect the anticipation of commuters upon arriving at the station and recognizing the commercial facility from a distance, or that of shoppers visiting the morning market. 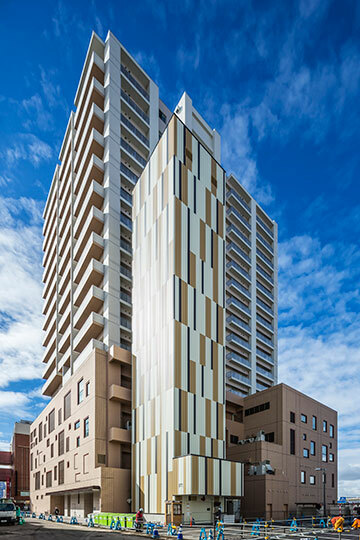 The building consists of two parts. 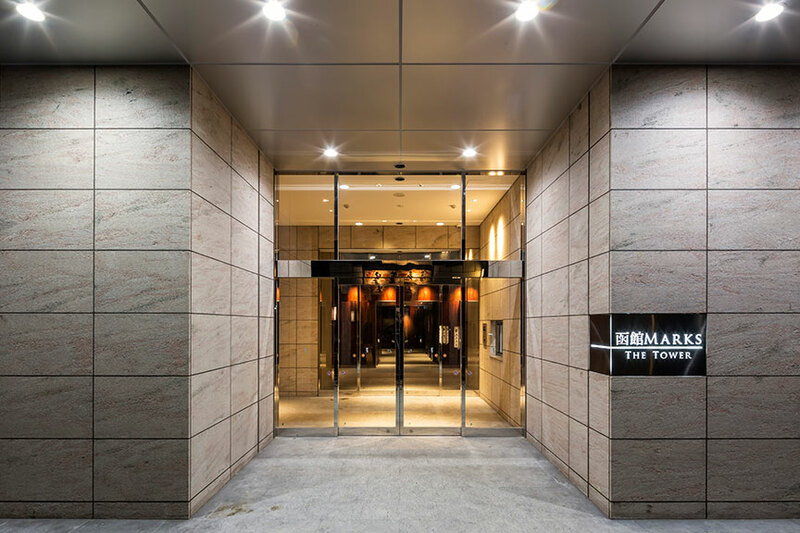 The lower stories are dedicated to commerce and business while the top levels consist of condominiums. The bottom part is brightly colored, bringing warmth to the freezing cold Hakodate winter. 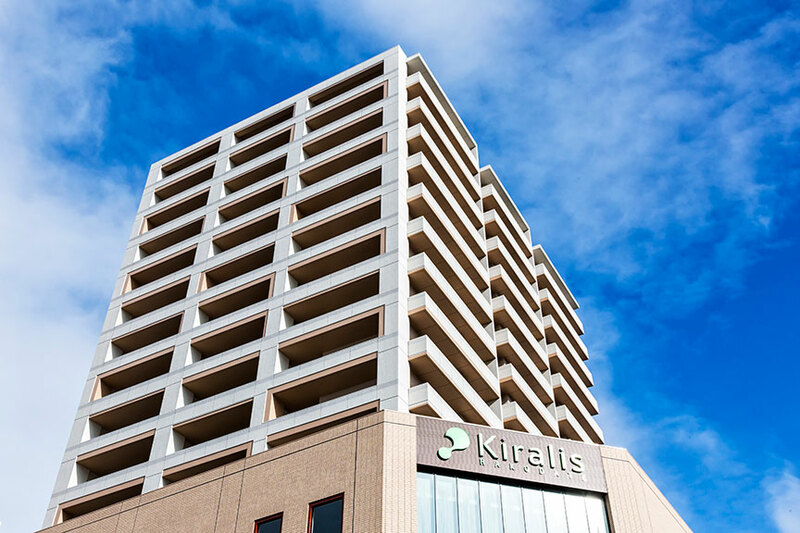 It also looks good in summer and is aesthetically compatible with surrounding buildings. 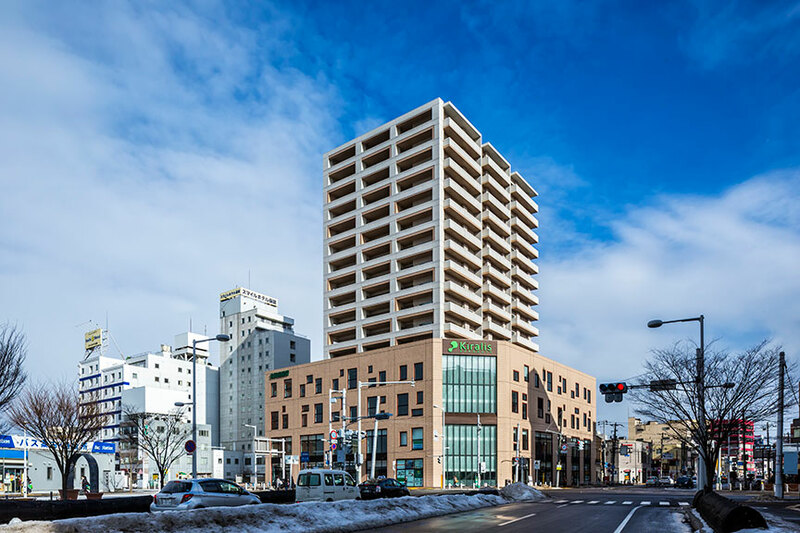 With none of the surrounding buildings matching it for height, however, the upper part features white as a base color to allow the building to blend into the vast Hakodate sky, creating a fresh impression. 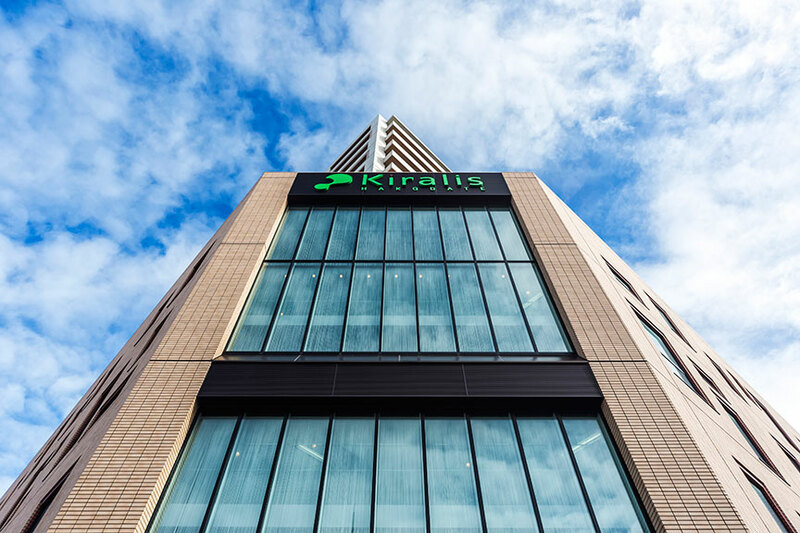 We designed the lower part of the building to be conspicuous to the extent that it could, even from a distance, be easily recognized as a commercial facility, giving it a unique appearance through the random arrangement of various types and sizes of windows. 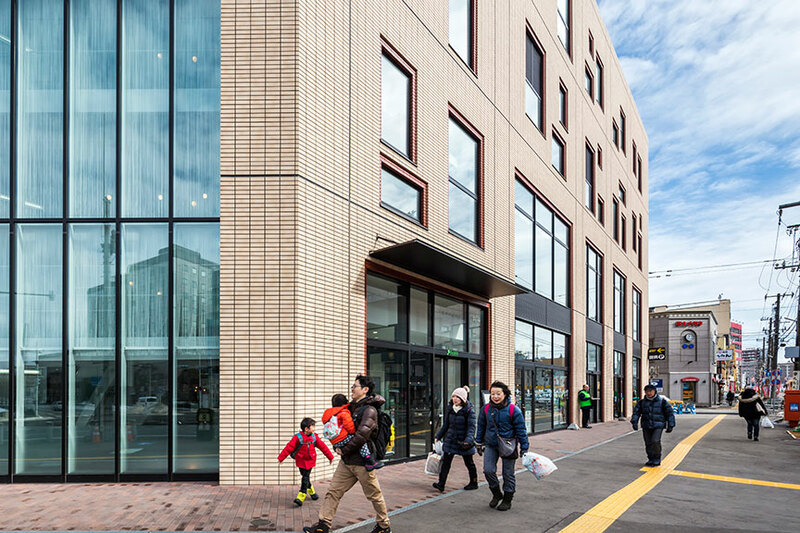 Moreover, for the design of the window shapes and the frames of the façade, we used the motifs of oblong windows found in old buildings in Hakodate, such as the Old Public Hall of Hakodate Ward, and red bricks used in warehouses at the port. The random and dynamic elements of the lower stories are echoed in the columns and beams of the upper stories as random beige notches. The façade of the top half we accented with delicate shades to reflect its residential function. Finally, the stairwell in the lower section lights up like a fireplace, adding an interesting visual element to the intersection in front of the station.